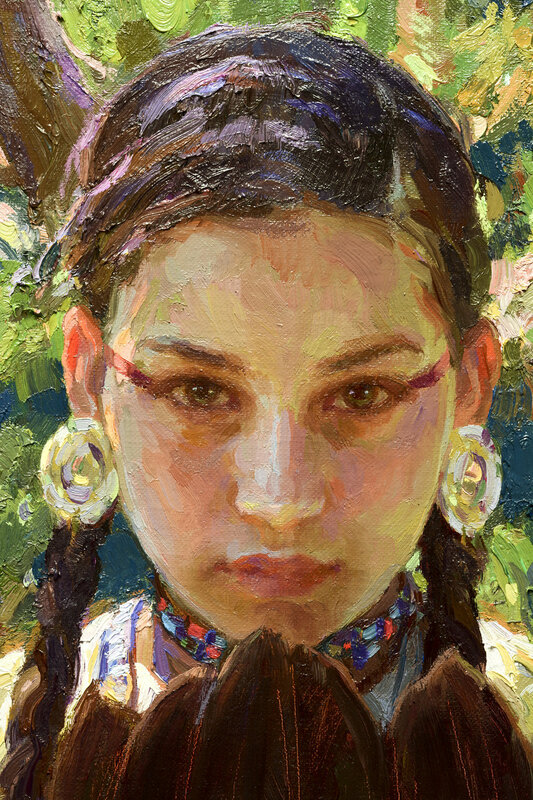 At an early age, while still in high school, Scott Burdick began taking life-drawing classes at the American Academy of Art from the legendary Bill Parks. “ Although I always loved drawing, It was Mr. Parks who filled me with the enthusiasm and the discipline necessary to improve my skills. His love of painting and creative expression infected us all.” After finishing the Academy, Scott continued his study at the Palette and Chisel Art Club, where he met his future wife, painter Susan Lyon. “It’s a wonderful thing being able to paint together all the time and grow as artists together,” Scott says. His ideas for paintings come from everywhere. “What makes a subject attractive to me are the same things that attract us all. 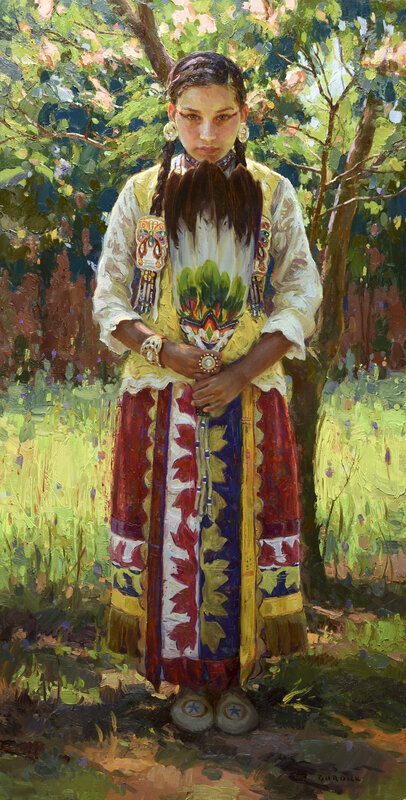 The beauty of a young girl, the character of a weathered face, the solitude of a farm at sunset, or even the story itself behind someone or something that makes it interesting.” Burdick believes it is the job of the artist to recognize this when this happens, analyze why, and use his technical skills to convey the feeling to someone else. He notes that some paintings, are as simple as stopping at the sight of something interesting, while others may take more time to research than to actually paint. Serena is half Choctaw and half Ponca. I first painted her for a demonstration at the Prix de West when she was twelve. The week before last year’s show, I spent time at Serena’s grandmother’s house near Shawnee and did several charcoal portrait drawings of her from life. On breaks, we’d take some photographs outside in the regalia she and her grandmother had created. What a wonderful and inspirational family.